Rage: Thanks! Where did you hear about that? I want to check it out! how about if you fall? Won't you fall yo death? It looks fun to dangle from a mountain face. Whoa! (I'm glad I don't sleepwalk!) I'd be DEAD scared if I went that high! 5 It puzzled all our kith and kin, It reached an awful pitch; For one of us was born a twin, Yet not a soul knew which. 15 My brother John got christened me And I got christened him. 20 For John turned out a fool. I put this question hopelessly To everyone I know— What would you do, if you were me, To prove that you were you? 30 Absurd mistakes went on; And when I died—the neighbors came And buried brother John! Hallidie believed that the cables would be strong enough to pull the cable cars up the steep slopes of the city. paragraph 3 would make the most logical concluding sentence for that paragraph? A As a result, Hallidie began making wire cables. B He hired William E. Eppelsheimer, a German engineer, to design the first cable-car line. D Hallidie also needed a franchise to build the system. What is the correct way to punctuate the in-text citation? San Francisco, ___________________, is the only city today where the cable car still operates. This is a sample of California Standards Test questions and they are boring. This is NOT an operational test form. Test scores cannot be projected based on performance on released test questions. Copyright © 2008 California Department of Education. so much blah. i'm that bored at the moment. did anybody read my comment carefully? you will notice some changes from the original text included. That would be so funny if youe put someone in that on land and while youre sleeping you put the tent over a ciff! mwa ha ha! this is a cool webpage! i'm pretty sure it's the same International Mastermind we all know! SUper cool with rock-climbing!!! I just love it, would like to try it someday. 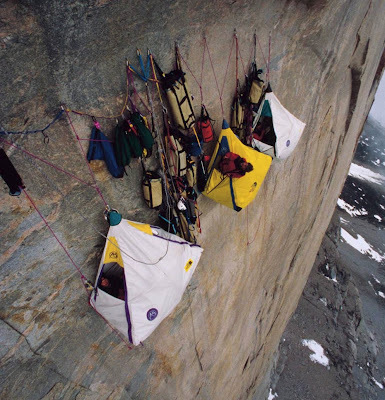 Maybe my mind is in the gutter, but this inspires me to wonder-- when people dangling up there need a bathroom, do they just do their business straight down? 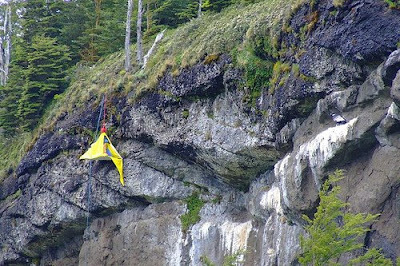 Or would the parks protest their cliffs becoming stinky for future climbers? That must be so scary! The time we went abseiling at camp, I had to force myself one hundred times that it would be ok, because my best friends were already all the way down the bottom (I hadn't seen them since over 5 hours because we were in different groups). On the rope, I didn't keep my body L shaped at one stage and I slammed against the wall and sat on the rock looking...down down down. I'm so scared of mountains. Indeed I have a increible life!! Proud that you use my pic! !..